Adam Radno was born in New Jersey, but has been a Naples resident for over 25 years. He graduated from Lely High School and then attended two Universities, first Florida International University and Graduated from Mckendree University with a Degree in Business Management. He was a student athlete and played football for both programs through his Collegiate career. After graduating Adam decided to take position within his Family’s business. Its headquarters was located in Naples but this opportunity took him back to the Northeast to start working in the NY/NJ metro area. As Director of Operations he was involved in all facets of the business including construction and design of new Facilities. Now full time in the Real Estate industry, Adam uses his business acumen and a hands-on approach allowing him to accomplish sales in both residential and commercial sectors. Having grown up in the area Adam has an intimate knowledge of all things Naples and has watched Southwest Florida expand to become the destination spot it is today. Adam is excited to now be part of the Signature Group and the Allison James Estates & Homes Elite family, where he looks forward to the opportunity to help people with all their local real estate needs. Chris Evensen, Team Leader and Founder of "The Signature Group" of Naples. Providing almost twenty five years of expertise to over 3000 buyers and sellers, Chris has served as a full-time Realtor/Broker since 1991. During his real estate career he has accumulated an impressive track record, focusing on professionalism, integrity and knowledge and discreation. Chris’ teams have completed over 1 billion dollars in real estate transactions. In addition, his years of expertise have allowed him the opportunity to be a national real estate trainer. Chris has been a leading broker in South Florida for 9 years. Chris has spent his professional life developing an educational and experience background that is matched by few in the industry, facilitating a successful sale for both buyers and sellers even in the challenging real estate market of the past few years. Chris’s focus is the waterfront and Luxury Communities of SW Florida. Chris has a team of agents that have extensive knowledge of the Luxury Home marketplace in Naples, Marco Island and Bonita Springs. When Chris is not working he enjoys boating, fishing and Golfing. Chris has four children, Christian, Haleigh, Jenna and Grayson. Chris is active in several local charity and community service organizations. "I am blessed that I get to live, work and play in Naples, Florida. I am passionate about assisting others who would like to own a home here in South West Florida"
As Co-Founder of the Signature Group, Sophie looks forward to continuing to provide premier real estate services to people interested in the Naples, Marco Island and Bonita Springs areas. Having been coming to Southwest Florida since 1984 Sophie has watched it grow to be the paradise we see today. 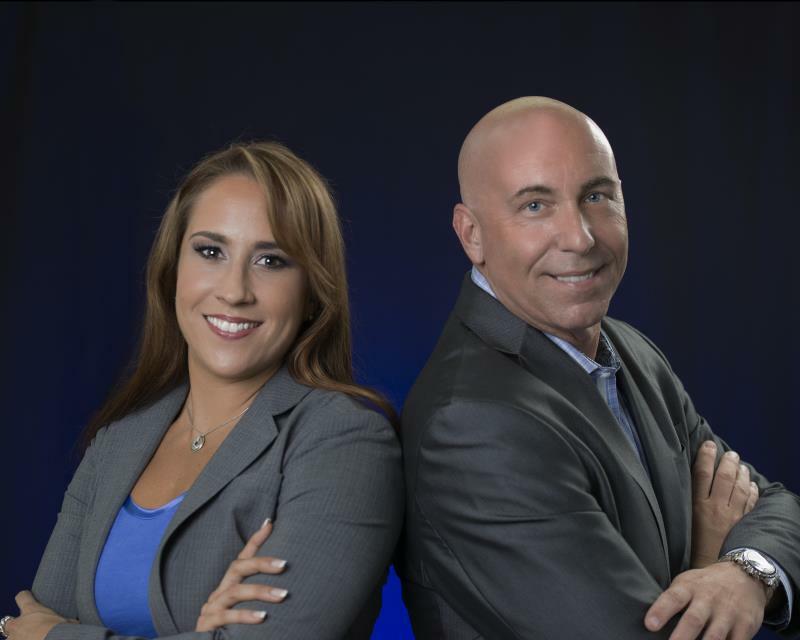 She has been involved in the Luxury Real Estate market here in Naples since 2011 and has acquired an in depth understanding of the area and it’s clientele. Prior to that she has an extensive background in Luxury Client Services and Sales here in Naples. Sophie graduated from Rollins College in Winter Park, FL, with a degree in International Business as well as completing her Masters in Finance Degree through Regents University London in the UK. In addition to originating from the UK, Sophie grew up in the Chicago area and has also spent time living in Canada and Spain. This along with her varied overseas travel uniquely qualifies her to deal with clients of all backgrounds. She continues to have great interest in International Affairs and is closely involved with the Naples Council for World Affairs, including participating on their outreach committee, which brings international awareness and opportunities to Southwest Florida’s youth. An accomplished National Equestrian and a fitness enthusiast, Sophie likes to remain an active member of the community in many varying ways. With her diverse background and her passion for Southwest Florida living Sophie looks forward to assisting others in calling the Naples area home. From luxury waterfront homes in Marco Island to golf course getaways in Bonita Springs, Sophie and the Signature Group are here to help everyone get their own slice of paradise. The data relating to real estate for sale on this limited electronic display comes in part from the Southwest Florida Multiple Listing Services. Properties listed with brokerage firms other than are marked with the BR Program Icon or the BR House Icon and detailed information about them includes the name of the Listing Brokers. The properties displayed may not be all the properties available through the BR Program. The source of this real property information is the copyrighted and proprietary database compilation of the participating Southwest Florida MLS organizations and is Copyright 2017 Southwest Florida MLS organizations. All rights reserved. The accuracy of this information is not warranted or guaranteed. This information should be independently verified if any person intends to engage in a transaction in reliance upon it. Some properties that appear for sale on this limited electronic display may no longer be available. For the most current information, contact Data last updated 4/25/2019 4:59 PM CST.